Taste of Chicago from the outside. Note on the style of this review: I decided to use italics in this review to call out my opinions and commentary. All commentary and opinion is tagged as italic. 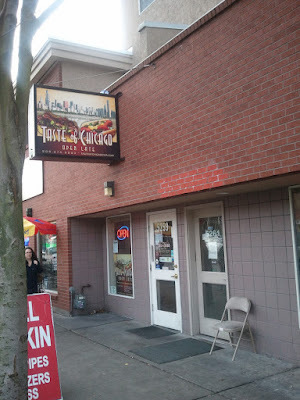 Type of Place: Fast food place serving authentic Chicago-style fare...I am not from Chicago and have been once. 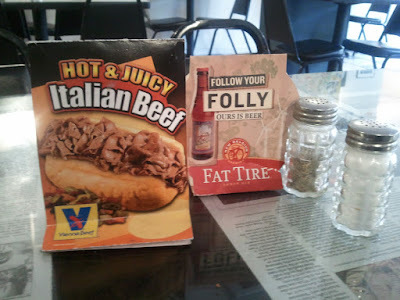 This was recommended by my friend Lisa, who's from Chicago and loves the Italian Beef sandwich served here. 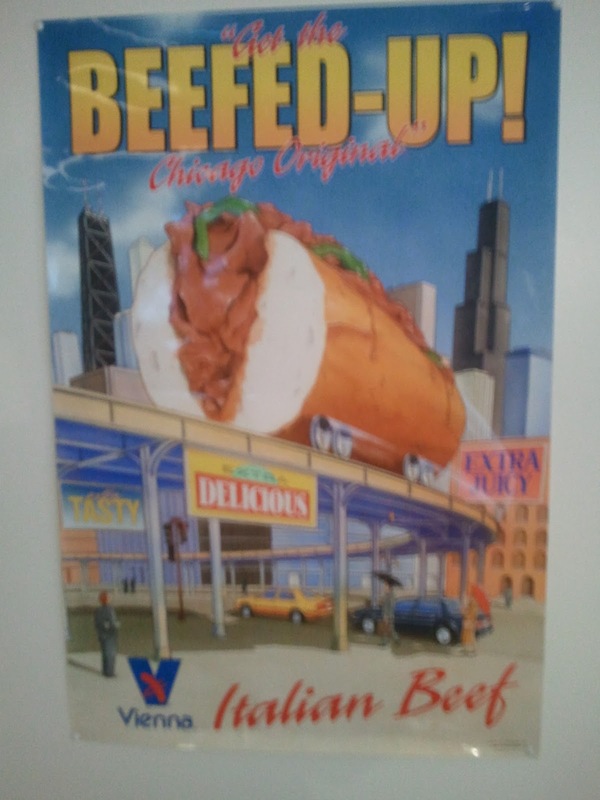 A poster on the wall dedicated to the Italian Beef sandwich. ...lots of fanfare for this sandwich here!!! Another tabletop advertisement for the Italian Beef. Hot and juicy, I guess that sounds pretty good!!! Notes on ordering: Exotic toppings for the Italian beef like marinara, "sport peppers", "Giardiniera", etc. 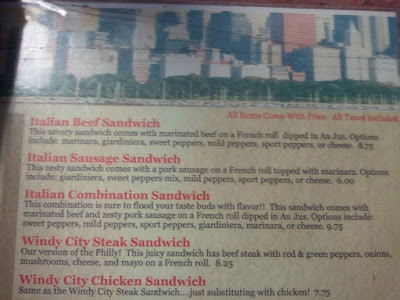 I ordered the sandwich as "how you, the cook, would eat it" since there were so many options. The beef as it's served. You see the carrots and peppers on the right. It has lots of beef in it. The beef was okay. A view of the "medium wet" bun. Not overly wet so it is a total mess but still wet. You can see celery if you look at the bottom on the foil. He told me that he did it "medium wet", which means a single dip of the bread/bun into au jus. It resulted in a semi-but not overly wet bun. For me, this was fine but didn't create enough moisture for me. That's one thing that I really like about DIPPING the dip into the au jus is that *I* can control how much jus I get. Additionally, having the au jus pre-applied makes it sloppy and I think get colder faster from the jus cooling. Had this pickled mixture called "Giardenero" on it, which made it spicy. 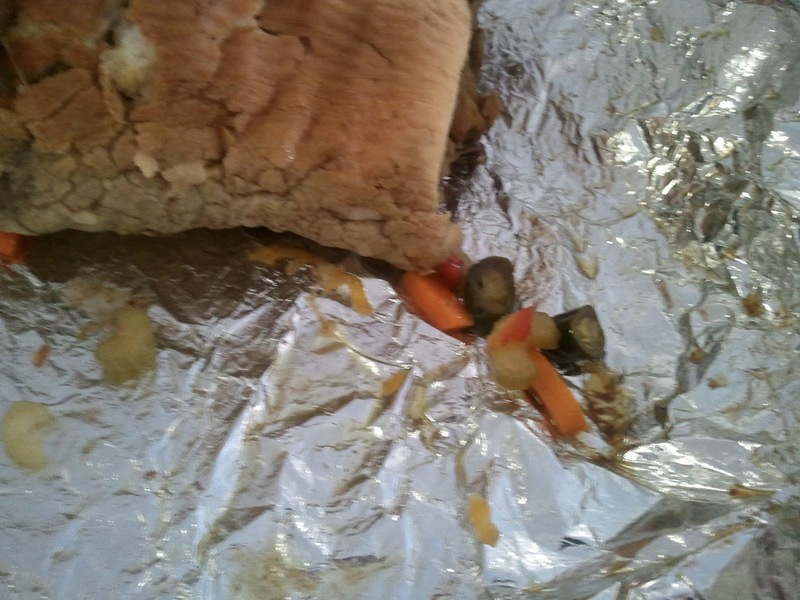 The mixture included pickled celery, carrots, olives, and red pepper and made the sandwhich semi-sweet and semi-spicy. The guy also included shredded cheese on the sandwich that I did not taste at all. It came with fries. Overall: I missed dipping the French dip but I got to have my first-ever "wet" (medium-wet in this case because that's how the cook preferred it) dip. The peppers made it different and kinda good. It was too dry for my liking and messy to eat as well. The fries that it came with were only okay. Standard French bread. Not fancy at all. It was fine. Nothing to write home about. 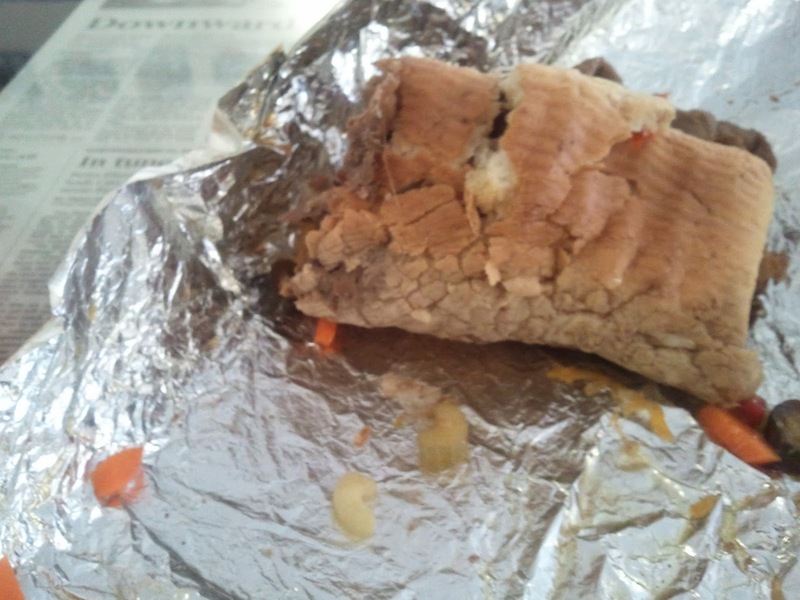 Didn't really taste / notice it on this "wet" sandwich. The giardineira topping was good and made this interesting but not enough. 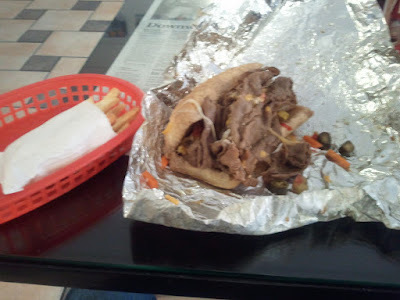 Reason to go back: I would prefer to the the au jus on the side for dipping and try some of the other interesting toppings for the Italian beef that they provide.